Traditionally when a bride walks down the aisle to be wed to the love of her life, she walks arm in arm with her father. Todd Bachman sought to buck the trend and do things his own way at his daughter’s wedding. 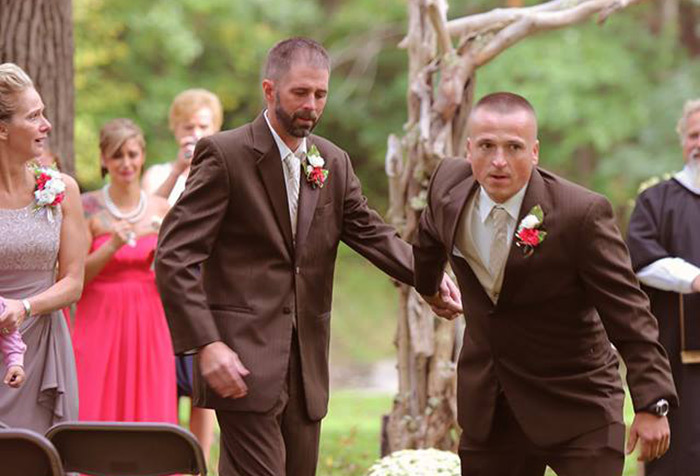 Last weekend at his daughter’s wedding, Todd walked his daughter Brittany to the top of the aisle when he stopped. People were confused by his actions when he left his daughter standing on her own but as he grabbed the hand of her step-father and pulled him to the top of the aisle it all made sense. You see his daughter Brittany had called him in tears weeks earlier saying she didn’t know who should walk her down the aisle. 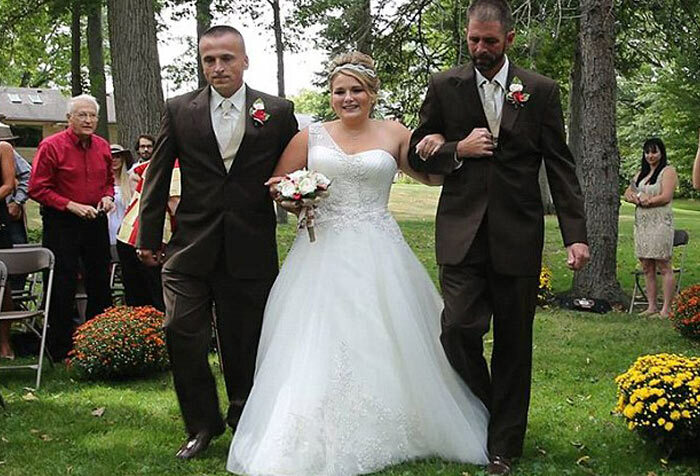 Although the two hadn’t always gotten along, Bachman decided to put his differences aside in the best interests of his daughter and her big day. 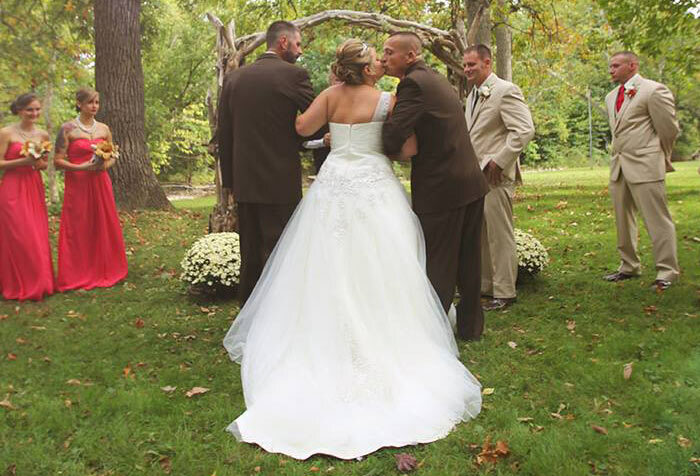 “NOT A DRY EYE at the ceremony… including me!” says Ohio based photographer Delia D Blackburn when she shared the beautiful gesture captured in a series of photographs showing the two father’s walking Brittany down the aisle together, and gave her away to her husband-to-be Jeremy Peck. The post has since been shared nearly 550,000 times and has received over 1.245 million likes. As famously quoted by Princess Diana, “Family is the most important thing in the world”. Congratulations Todd Bachman for showing the world what love truly is.